At the heart of this inquiry into the ethical implications of education reform on reading practices in middle and secondary classrooms, the central question is what is lost, hidden, or marginalized in the name of progress? Drawing on her own experiences as an English teacher during the No Child Left Behind era, the author examines school cultures focused on meeting standards and measurable outcomes. 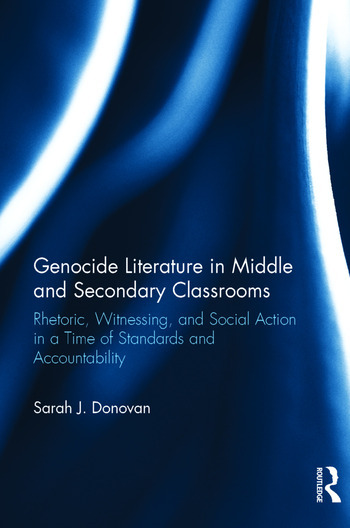 She shows how genocide literature illuminates the ethics of reading and helps teachers and students rethink how literature should be taught in this modern, globalized era and the purposes of education more broadly. Sarah J. Donovan teaches middle school English in a suburb of Chicago, Illinois, USA, and is an adjunct at DePaul University (Social and Cultural Foundations in Education), USA.